Ten Leidos employees will be recognized for their achievements in the science, technology, engineering and math domain this week at the 33rd Black Engineer of the Year Awards’ STEM Conference in Washington, D.C. The event will bring together STEM industry representatives, students and educators in order to foster dialogue and information exchange, Leidos said Thursday. 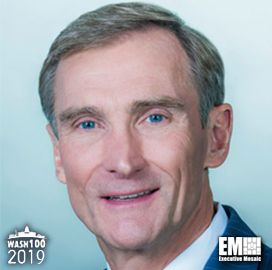 Roger Krone, chairman and CEO of Leidos, will present the Technical Sales and Marketing Award to Gerald Gaskins, who oversees some of the company’s major information technolgy contracts with the federal government. "Our BEYA award winners exemplify our culture of innovation and are leaders in science and technology, working to shape the industry for tomorrow's generation," he said. Paul Engola, Leidos’ chief human resouces officer, will present the Modern Day Technology Leader Award to eight employees for their efforts to develop new technologies and conduct scientific research for the government, industry and local community. Ursel Allen, who handles Leidos’ $47M budget and leads a data engineering team of 26, will receive the Stephanie C. Hill Legacy Award during the event.